Yup. Here we go again. 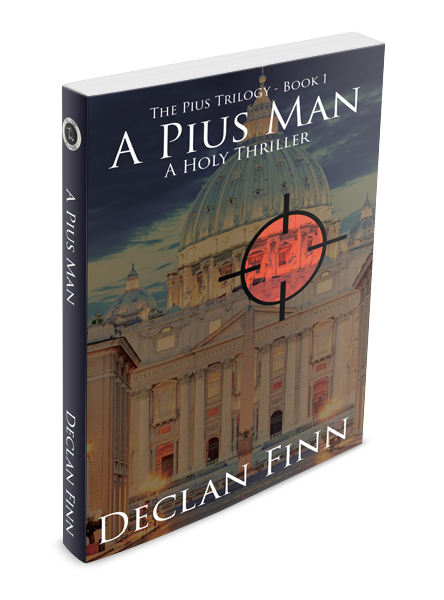 I’ve done Chapter 1 and was chapter 2, and now we continue with your look at the new edition of chapter 3 for A Pius Man: A Holy Thriller. By now, you’re probably well aware my yanking this from the shelves when I signed with Silver Empire Publishing. But right now, it’s back. And if you’re new and have no idea what A Pius Man is … It ate up ten years of my life, and the best use I have ever gotten out of my Masters in History outside of writing biographies of older vampires. He ran a hand over his bald scalp, wondering what had become of his liaison with the chief of Vatican security. He was tempted to slide his reading glasses onto his sharp, angular nose and start flipping through papers on Figlia’s desk. Premature presbyopia annoyed him no end: others only needed reading glasses after forty or forty-five. He was just lucky in his ancestors that his good distance vision had saved his life more than once.Abasi pinched his sinuses, fighting off the coming headache. He crossed his legs, hoping to become even slightly comfortable in the office chair. So, have enough fun yet? Just click here, and you can order it from the publisher. This entry was posted in Fiction, Thriller, Writing. Bookmark the permalink.